This Bulk Update is used to updated multiple fields for One Course Enrolment for a Learner. 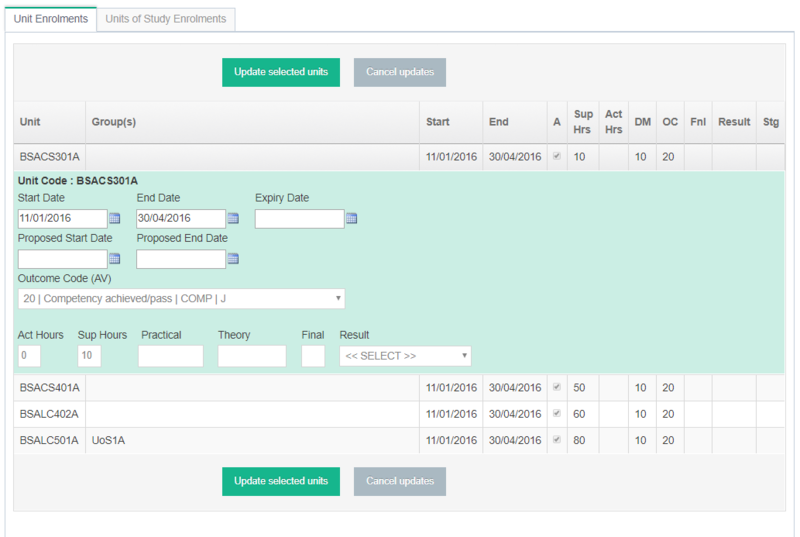 This allows you to update Unit Enrolment details across many fields for an individual Learner. 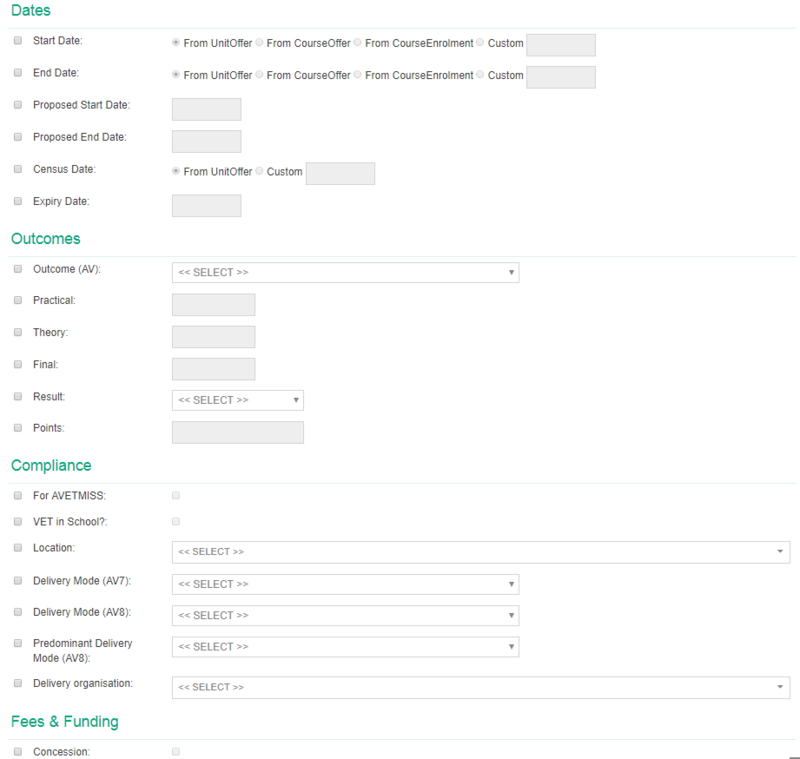 This Bulk Update only allows the same fields in each Unit Enrolment to be updated.